I have a very tiny list of haulage for this trip to Dubai. And on the top of the list for my daughter was ‘my alphabet writing cards’, I first saw it on a fellow mommy blogger and friend’s blog. And while I was there I picked up two other things. 1. 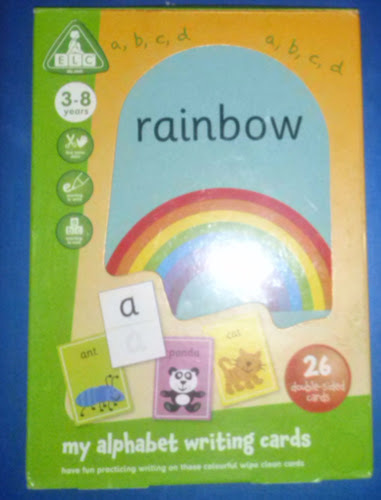 Rainbow my alphabet writing cards- These cards may not seem very exciting to most mommies out there. There are plenty resources for developing writing skills, but the reason why I wanted this so badly was because Batool can’t visualise the small little alphabets in the books. She can’t clearly see the arrows as well. 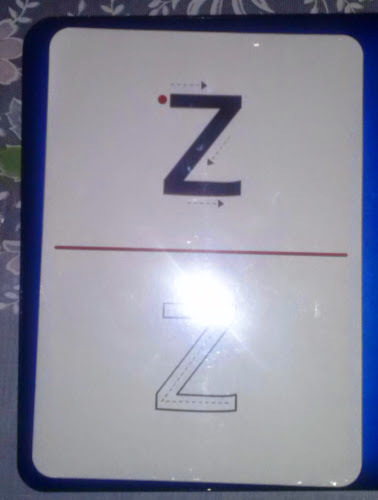 These cards have a larger font as you can see in the pic below. The starting point, and the arrows are big and clear too. The box comes with 26 double-sided cards, and a small black marker. The writing can be wiped and the card can be used multiple times. 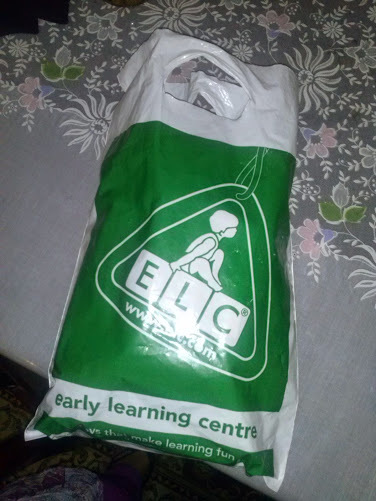 They’re for ages 3-8years. Focus on fine motor development, writing skills, and learning to read. 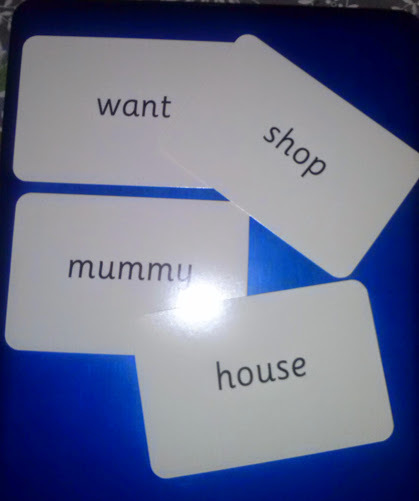 The child can use the cards to form two or three letter words. 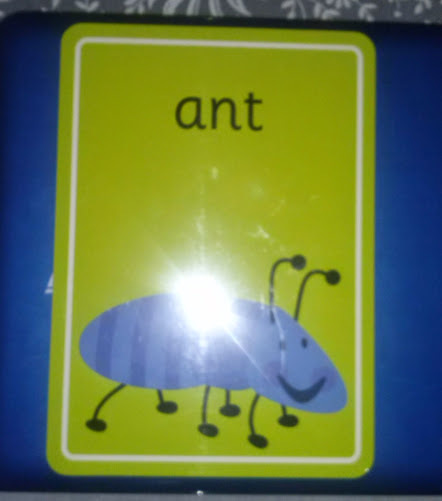 This helps enhance reading, and the corresponding images at the back of the cards helps improve phonetic vocabulary too. 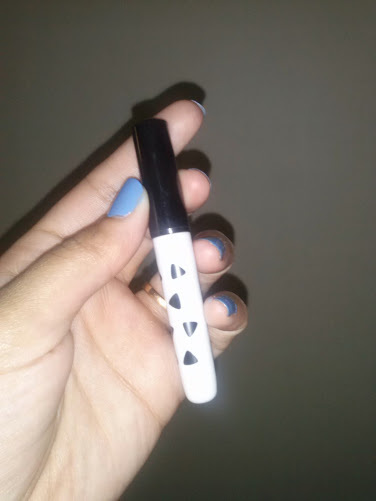 It was AED 34 which isn’t that bad for a product that’s going to be so useful and has multiple purposes. 2. 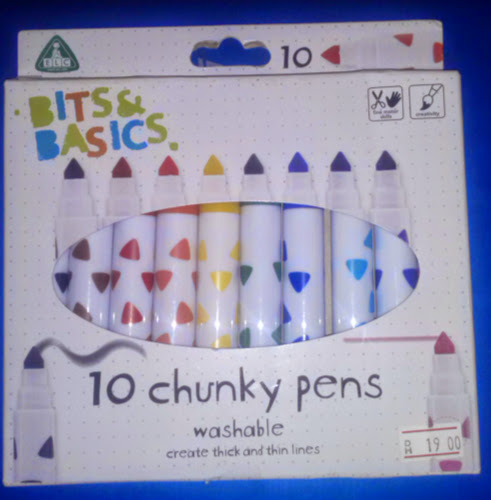 Chunky washable pens- I had purchased these 2 years ago when I had come to Dubai. And since the writing cards only had one pen, I thought it’s better to get a pack just in case it runs out of ink. These are washable, so need to worry about them staining clothes or the childs skin. Batool loved them then and I’m sure she will enjoy now as well. Plus having the variety in colour will help her get even more interested in the writing cards. The pens were for AED19 but there was a discount on them. 3. 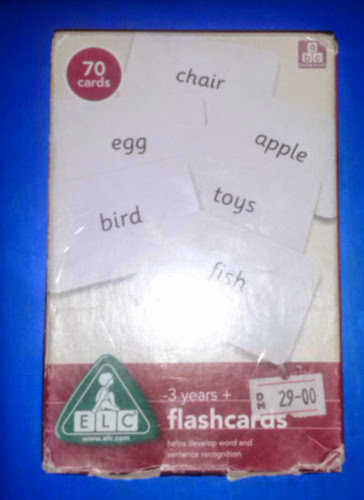 Flashcards- These have sight words!!! I was so excited when I found these. I have been practicing the sight words with Batool, to speed up her reading. She’s showing more interest now, and I thought it’s the best time to pick these up. 70 double sided cards, and the font is simple and easy to read. There are few plain cards too, for using with the washable markers. 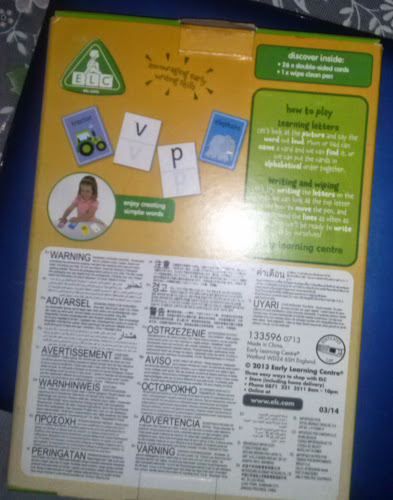 The beauty of this product is you can use the cards to help the child make sentences too. It’s for 3yrs and above, and was priced at AED 29, this product was on discount as well. The box looks hideous but it was the only one left, and I didn’t want to pass. 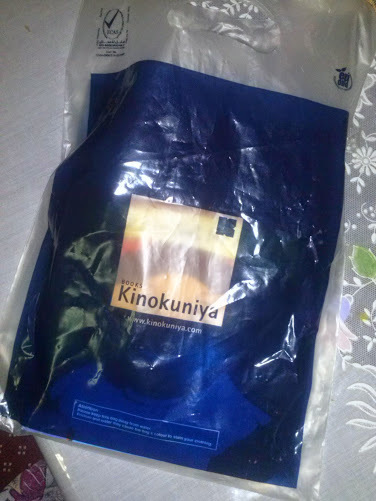 I went into Kinokuniya to pick up books on ‘good touch bad touch’ but there were NONE! Very disappointing. 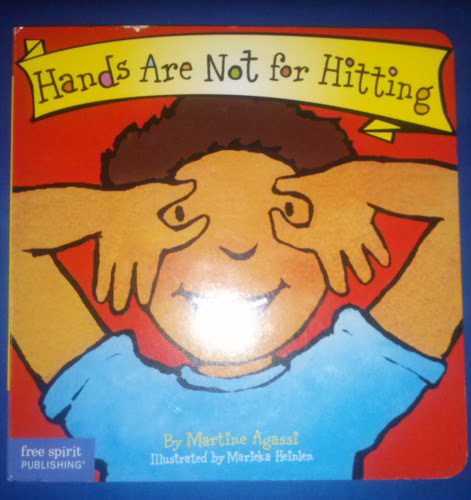 I did find ‘Hands are not for hitting’ that I wanted though, and Batool made me read it there and then in the store itself before I even purchased it! The book was for AED 34. Batool already has one of the books from the series; ‘words are not for hurting’. I think I’ll pick one more up before I leave.